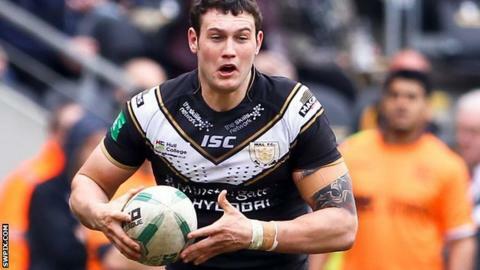 Bradford Bulls have signed Hull FC's Jay Pitts and Joe Arundel on loan until the end of the season. Forward Pitts, 24, joined the KC Stadium side from Leeds Rhinos in 2012 and could make his debut in Sunday's Challenge Cup tie against Catalans. Centre Arundel, 22, is cup-tied so will have to wait until next week's game against Warrington to make his bow. Coach Francis Cummins said: "They're young, hungry and hugely talented players who we are excited to have."